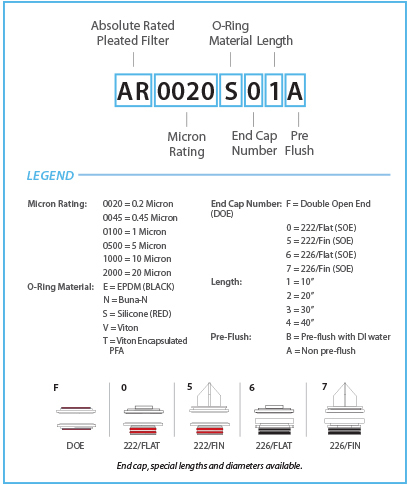 are Beta 5000 Absolute rated filters. 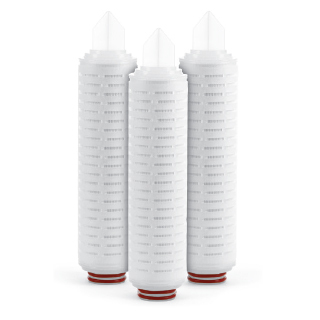 Made from 100% pure Polypropylene, Hydronix AR Series Filters comply with USP XXIII and FDA CFR Title 21 for food and beverage applications. 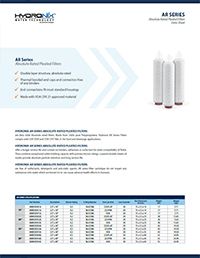 offer a longer service life and contain no binders, adhesives or surfactant for wide compatibility of fluids. They combine exceptional solids holding capacity with precise micron ratings. Layered double sheets of media provide absolute particle retention and long service life.